As Bob Marley has always emphasized, Reggae and Africa are indissociable. The members of Les Vieux Môgôs lived the world explosion of the Reggae and marked the spirits notably alongside Alpha Blondy. For it is indeed with Sam Koné (former drummer of the Solar System) that the adventure of the Old Moggo began. Christian, one of Sam Koné's great friends, was in charge of a recording studio in Abidjan (Côte d'Ivoire): "We called Christian 'Old Mogo' which means Malinke the big brother," says Sam Koné. In 1997, he contacted Lucien Atse, Joel Gbanda, Olivier Koffi, Christian, Joseph (Big Jo), Waiper Saberty and Evariste Yacé. Being all of the same musical generation, they naturally baptize the group Les Vieux Môgôs. They quickly begin to skim the bars and clubs of Abidjan like Paim's or Jamaica City, high places of the Ivorian Night. In 2006 the group played the first part of Ijahman at the Palais de la Culture in Côte d'Ivoire. 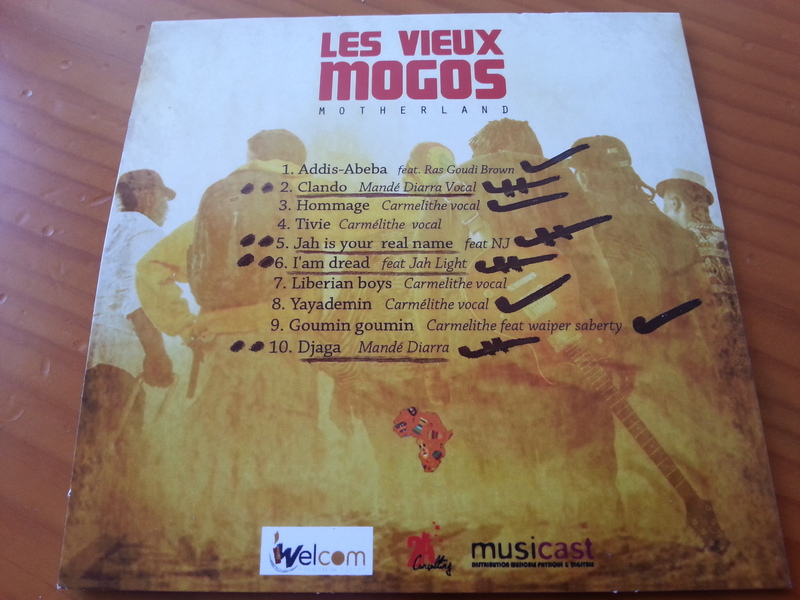 And it is in 2011 that leaves "Confirmation", first album of Vieux Môgô stamped Alpha Blondy Productions! 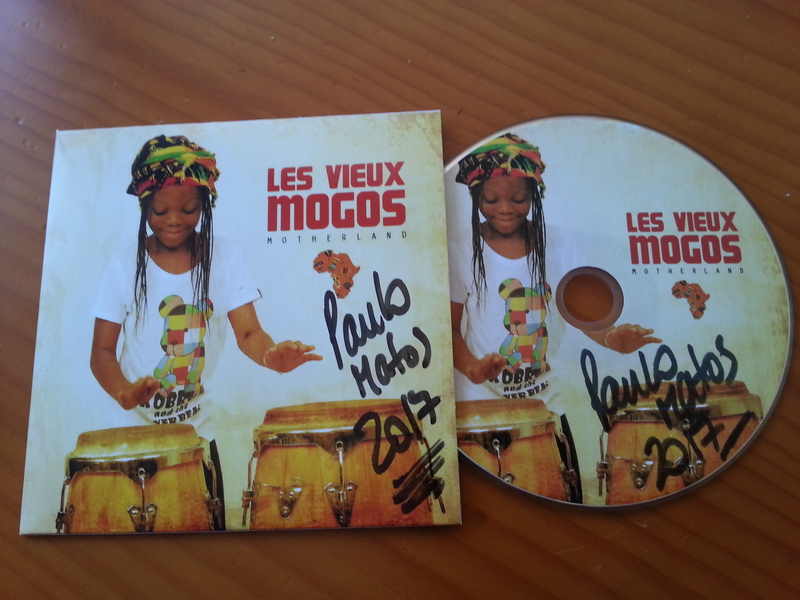 Les Vieux Môgôs will then take part in several Reggae festivals including the Festa d'Alpha Blondy, the charity concert for Haiti in Senegal (2010), the International Bamako Festival with Ismaël Isaac, the 24-hour reggae with Tonton David ... Cultural activities. In 2015, Les Vieux Môgôs took part in the first edition of the Abi Reggae Festival in Abidjan, alongside international artists such as Alpha Blondy, Kymani Marley, Third World and Morgan Heritage. The group will also be on the occasion of the first edition of the APT, renowned gastronomic festival, sponsored by Tiken Jah Fakoly. 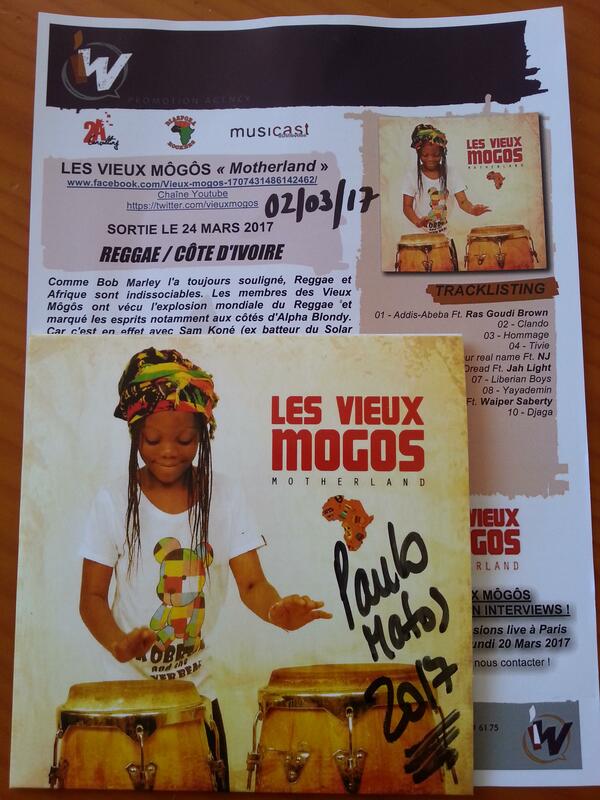 In January 2016, Les Vieux Môgôs will be featured on the stage of the second edition of the Burkina Faso International Reggae Festival, followed closely by a notable performance at the MASA (African Performing Arts Market) in March 2016. The occasion of this festival that the group will win even more the respect of the artists recognized pusique will return to them the honor of backer Alpha Blondy, Tonton David, David Hinds (Steel Pulse) or Takana Zion. 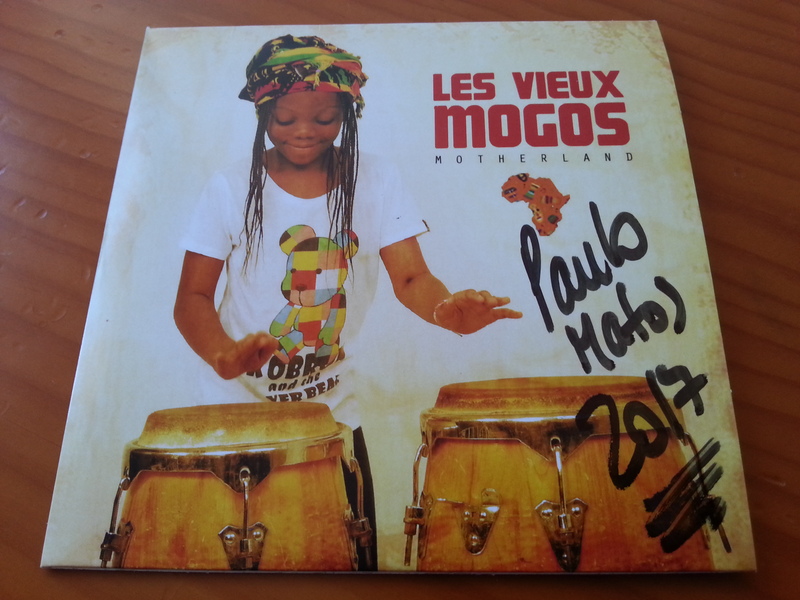 Since 2013, Les Vieux Môgos have been working on this second album. Baptized "Motherland" meaning literally 'motherland' but evoking the cradle, of Humanity, Africa. This album extends the evolution of African reggae, touching the finger on a certain universality by borrowing various reggae dynamics, varied sounds and speaking in turn in local language (malinké, attié, bété), in French and also in English . On the musicians' side, the participation of several international sights like Moctar Wurie and Sam Kone, respectively keyboard and drummer of the current group of Ijahman Levy. French guitarist Kubix also responded. It appears on most of the album and also brings its stone to this building without borders. The album was produced between Abidjan and Paris, mixed by Timour Cardenas (Diaspora Rockers), a sound engineer who has become a must in Reggae, known for having worked with Youssou'N'Dour, Danakil, Salif Keïta as well as Touré Kounda or more recently the duo Hip-Hop / Reggae Jahneration. The ensemble was mastered by Plissman, known for his public collaboration with Carla Bruni. The texts are conscious and current, special mention for Clando returning on the current situation of migrants and which will soon be the subject of a video clip. There is also talk in this album of Liberia, Africa in the broad sense (Motherland), respect for man and social and spiritual themes for a reggae album, rasta and resolutely African.